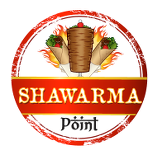 Combination of beef and lamb marinated with house spice mix, and cooked on a vertical broiler, served in pita bread. Chicken marinated with house spice mix, cooked on a vertical broiler, on basmati rice with lettuce, tomatoes, cucumber, signature white sauce, and hot sauce. Chickpeas, fava beans, onions, garlic, parsley, and cilantro fried in a bull shaped patty, on a salad of lettuce, cucumbers, tomatoes, feta, olives, signature white sauce, and hot sauce. Chicken marinated with house spice mix, cooked on a vertical broiler, served in pita bread with lettuce, tomatoes, cucumber, signature white sauce and hot sauce. Combination of beef and lamb marinated with house spice mix, and cooked on a vertical broiler, on a bed of basmati rice with lettuce, tomatoes, cucumber, signature white sauce, and hot sauce. Combination of beef and lamb marinated with house spice mix, and cooked on a vertical broiler, on a salad of lettuce, cucumbers, tomatoes, feta, olives, signature white sauce, and hot sauce. Chicken marinated with house spice mix, cooked on a vertical broiler, on a salad of lettuce, cucumbers, tomatoes, feta, olives, signature white sauce, and hot sauce. Chickpeas, fava beans, onions, garlic, parsley, and cilantro fried in a bull shaped patty, on a bed of basmati rice with lettuce, tomatoes, cucumber, signature white sauce, and hot sauce. Chickpeas, fava beans, onions, garlic, parsley, and cilantro fried in a bull shaped patty, served in pita bread with lettuce, tomatoes, cucumber, signature white sauce, and hot sauce. Please indicate your choice of soda.